Masquerade Malta is staging Closer, a comedy by Patrick Marber directed by Anthony Bezzina, at Blue Box, M Space, Msida, on February 1, 2, 8, 9 and 10 at 8pm. Winner of Best Comedy Award in the 1997 Evening Standard Awards and 1998 Olivier, BBC Award for Best New Play, Closer is described by the Sunday Times of London as “one of the best plays of sexual politics in the language”. Witty, obscene, modern and slick, it provides a surprisingly honest vision of sexual jealousy and desire. The plot revolves around Dan and Larry, who are both besotted by the enigmatic Alice, while Anna inadvertently meets Larry for a date in an aquarium. The lovers become entangled in web of deceit, insecurity and desire in a beautifully structured series of duologues which push the action forward, and occasionally back, towards an unexpected ending. 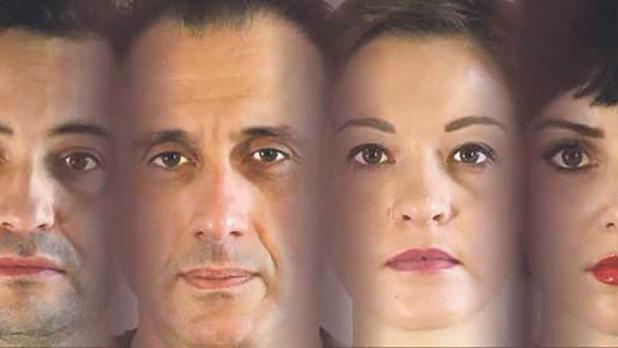 The cast of Masquerade Malta’s production features Jean-Marc Cafà, Alexandra Camilleri Warne, Mikhail Basmadjian and Nadia Vella. Masquerade Malta’s production of Closer will be staged at Blue Box, M Space, Msida, on February 1, 2, 8, 9 and 10 at 8pm. It is suitable for mature audiences only. Discounted tickets are available until Monday, January 14, at www.masquerademalta.com. Ticket hotline 7979 3737.